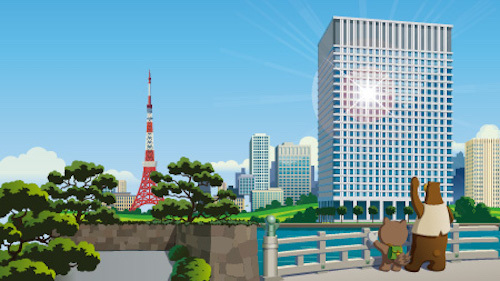 At Salesforce, we’re always looking for new ways to make our customers more successful. One of the ways we do that is enabling customers to use Salesforce, the world’s #1 CRM, with Google Apps. 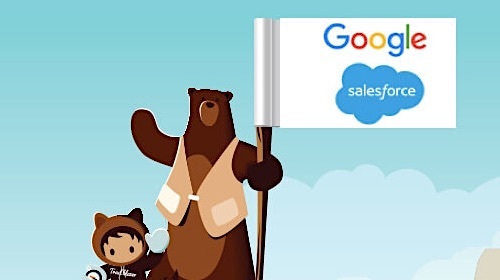 Together with Google, we’ve delivered seamless integrations between Salesforce and Google Drive, Gmail and Calendar—and based on that success, our customers have been asking us to do more. Today, we’re thrilled to announce exciting new integrations between Google Apps and Salesforce to help take the busywork out of work. We’ve worked with Google on its new Sheets and Slides APIs, which were announced today at Google I/O. With these new APIs, you can seamlessly connect your favorite Salesforce apps to Sheets and Slides for increased ease of use and real-time collaboration. And now, with new integrations between Salesforce and the APIs, data and reports will flow seamlessly between these solutions so you always have access to Salesforce data directly within the Google apps you use every day. Google Slides will be enhanced with SalesforceIQ CRM, our smart, out-of-the-box sales solution tailored for SMBs. 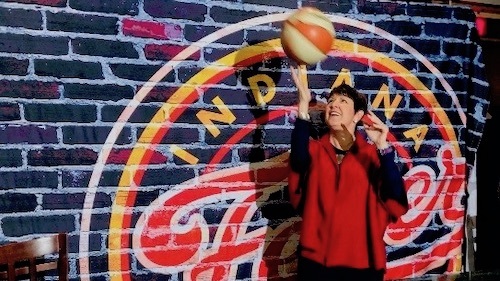 When you connect Slides and SalesforceIQ CRM, reports and insights from SalesforceIQ CRM can be pushed into Slides with the click of a button. For the first time, you’ll be able to quickly create data-enriched presentations and easily bring together data and insights—such as prospect engagement levels or week over week lead-gen results—right within Slides. 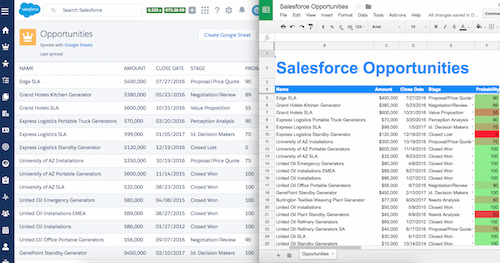 In addition, you will be able to connect Salesforce to Google Sheets with the new Sheets Lightning App from Salesforce Labs. Thanks to the new integration, you will be able to quickly update Salesforce CRM data, such as opportunities, directly from Sheets. Since Salesforce data and records are synchronized with Sheets in real time, you’ll know you’re always working with latest information. SalesforceIQ for Sheets is now live on all SalesforceIQ orgs. SalesforceIQ for Slides and Salesforce for Sheets will be available the second half of 2016. Stay tuned for more integrations from Salesforce and Google in the future!